13 ways of looking at a blackbird (1947) for voice with piano Peggy Glanville-Hicks Angela Giblin, Margaret Legge-Wilkinson 12 mins, 7 sec. Five songs (1936) to the poems of John Shaw Neilson Margaret Sutherland Angela Giblin, Margaret Legge-Wilkinson 8 mins, 28 sec. Six songs : to the poems of Judith Wright (1967) for voice with piano Margaret Sutherland Angela Giblin, Margaret Legge-Wilkinson 17 mins, 48 sec. 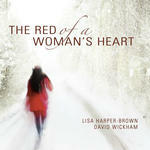 Also includes: Australian love songs ; Tall trees / Margaret Legge-Wilkinson. 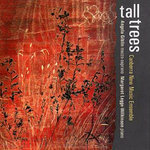 Contemporary classical music which is a tribute to the tall trees of 'Brown Barrels' which were cut down in 1993. They were the last bit of old growth forest in the Nalbaugh State Forest in south-eastern Australia. These trees were 400 years old and grew to a height of 60 metres. It took eleven people with fingers touching and their arms outstretched to encircle one of these trees. Project assisted by the ACT government, Canberra School of Music and Australian National University through a Research Infrastructure Block Grant. 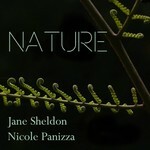 Liner notes include biographical notes on composers and performers, programme notes and song texts. Score: Six songs / Margaret Sutherland ; settings of poems by Judith Wright. 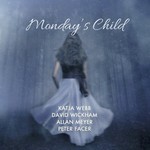 CD: Monday's child / Katja Webb, David Wickham, Allan Meyer, Peter Facer.